iFunBox is an iPhone file manager for transfering and maintaining media, files and directories on iPhones and iPods. It works with iPhone, iPhone 3G and iPod Touch in Firmware1.x and 2.x even without JB (jailbreak). 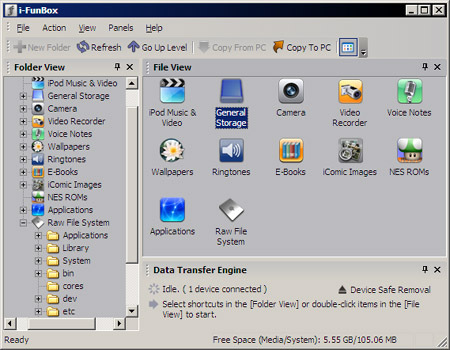 It is a Windows application compatible with WinXP 32/64bit and Windows Vista 32/64bit.